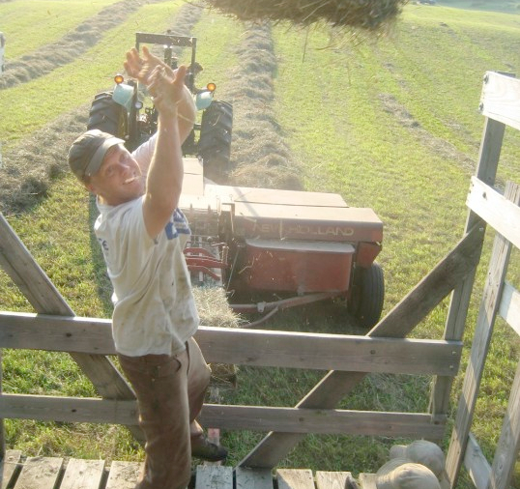 You are currently browsing the Suburban Homesteading – Frugal Living blog archives for June, 2011. Work on the farm ended early tonight, giving us time in the Adirondack chairs, taking in the sultry evening air and watching the sun dip below the western horizon. We get so caught up in the day-to-day activities of the farm that we miss the chance to just sit and take stock of what we have and what we have accomplished on our little plot of land. But, tonight we lingered, breathed in the smells and tasted bits of the farm as they floated on the cool night air. Stillness makes you think. Gratitude abounds. My grandmother was an amazing quilter. She had such a knack for putting colors and fabrics together that I have often envied her talent. 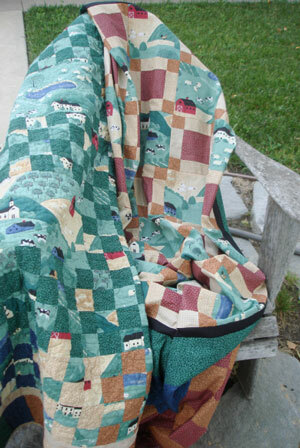 Over the years I have acquired several quilts she made. Some were gifts for birthdays or weddings and some were just Gran cleaning house and downsizing her belongings. No matter how they came to me I love each and every one. They are simple patterns, not the elaborate works of art you see from quilters these days. The fabrics used were old flour sacks, sugar bags, worn out clothes that my mom and Aunt wore as little girls, and remnants from the fabric store where my grandmother worked for more than 50 years. 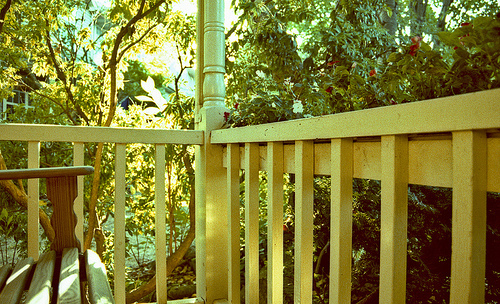 They are time capsules of color and texture that have kept me warm and reminded me of days when self-sufficiency was as common as summer heat and not a strange concept. Quilting is a new skill for me. I started a few years ago with a simple rail fence pattern made from flannel, for my daughter. Unfortunately, I was never able to work on a quilt with my grandmother or have her teach me her special tricks of the trade; we lived too far apart for that. Like cooking from scratch, tending livestock or managing DIY project, quilting (and sewing) is one of those useful homestead skills that everyone should learn. With a few basic sewing skills like measuring, cutting and sewing a straight line you can turn previously unusable fabric into something that will keep you warm on a cold winter’s night. I think that’s what I love most about quilting; the stories it can tell, the people it can touch, the hominess and warmth it can bring. My quilts will never win a prize at the county fair or be the envy of the ladies at the quilt guild, but they will remind my daughter and I of times spent together, of places we have gone and adventures we have had. You can wrap yourself up in a warm quilt and breathe in the memories. Since finishing my first quilt, I have made 4 others, also simple patterns that remind me of simpler times and days when everything was repurposed into something useful. The quilts in the picture are a prefect example. The quilt on the right is a completed quilt that lays on my bed. It is a play on the 9-patch Pizzazz pattern. A play mainly because it has 12-patches, instead of 9, in between the larger pieces of fabric that show off the sheep scene. The Little Boy Blue quilt on the left is a recently finished quilt top that still needs to be assembled, pinned, quilted, and bound before it can be used. Both quilts are made from a pastoral sheep print skirt I bought on a driving trip from Colorado, down through New Mexico and on into California. I loved the fabric so much that when I stopped wearing the skirt I kept it, knowing that someday I would make it into a quilt. And I did. One skirt, two quilts, a mom and her daughter warm in their beds, wrapped up in memories. 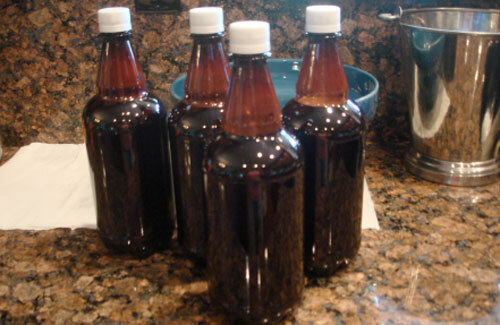 An afternoon of making homemade root beer will be enjoyed over ice as a frothy thirst quencher or as a creamy root beer float after a long day of farm chores. I first heard about Ben Hewitt when he authored the book, “The Town That Food Saved”; a story about how a struggling Vermont town became a beacon in the locavore movement and brought national attention to resolving the food crisis. Ben posted this article on his blog recently and I wanted to share it. I thought it was a great example of how small-scale farmers are perceived by larger growers. I especially liked the questions he raised about the value of being able to feed one’s self and one’s family. Enjoy! Not so long ago, I was at the home of a real farmer. I know he was a real farmer, because he told me so. The implication, I believe (though I can’t be sure) was that I am not a real farmer, because I do not earn all or even the majority of my living from a farming enterprise. For what it’s worth, this is not the first person I’ve heard articulate such a belief. Or even the third. Leaving aside the question of why it even matters who is and who is not a real farmer, and why anyone would feel compelled to claim such a title for him or herself, I couldn’t help but ponder what factors must be present to make a farmer real. I’m pretty sure our neighbor’s definition is income-based. That is, if you make your living “farming,” then you are a “real farmer.” Fair enough, I suppose. But I know this person’s enterprise pretty well; I know that his family purchases the vast majority of their food at a retail outlet. I know that they don’t keep a garden, or process any of the milk they produce into butter or cheese or yogurt. They don’t raise their own meat. What they do, basically, is specialize in the production of a single food (milk), which they primarily sell in bulk. This arrangement provides them with the money necessary to purchase the essentials they do not produce for themselves. This is, in his mind at least, real farming. Last year I was at a book talk, and someone asked me how much of my income is derived from our farm. “Oh, not much,” I answered, because it’s not. Most years, it’s not much more than 15%. “But did you include the food you grow for your family in that figure?” He asked. Well, no, actually. I hadn’t. Which is where this conversation gets interesting, because my family raises upwards of 80% of the food we consume. I’m not really sure how to put a dollar value on the food we raise for ourselves, because I know that in many cases, we could purchase our nourishment for much less than it costs to produce it, particularly if one is inclined to believe the lie that time is money and therefore, the time spent in pursuit of our food production could be more profitably applied elsewhere. In other cases, we couldn’t buy the food we produce for any price, because it’s simply not available on the open market. In any case, I am struck by the irony that we seem to have arrived at a definition of “real farmer” that is rooted in money, rather than food. Frankly, it’s fine with me: I have no need nor desire to lay claim to the term “real farmer.” I am happy to cede it to those whose agricultural pursuits are based in the exchange of product for money. What does that make me? Hell, I don’t know. And I’m not going to spend much time trying to figure it out: I’m too busy growing food. 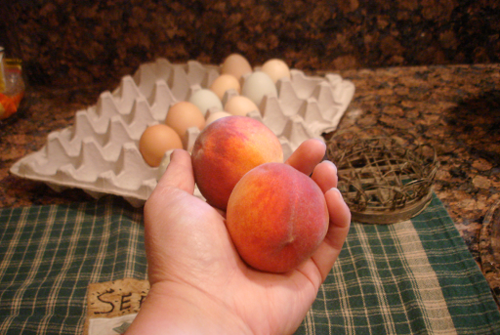 The first peaches of the season – sweet and juicy. 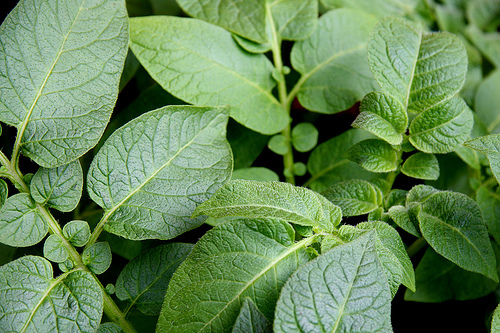 The traditional way of growing any kind of potato, whether it be baking, sweet or yam, is to plant slips in long parallel rows, giving the tubers plenty of room to grow. But, on a suburban homestead where the size of your lot dictates your growing space this is not always possible. With more crops than space to grow them in we must resort to more and more creative growing methods to produce the food our family wants. Permanent beds of veggies like artichokes, asparagus and potatoes take up valuable space that could be used for root crops, beans, peas or salad greens. On our suburban homestead we have resolved the challenge by growing potatoes in large black tubs. 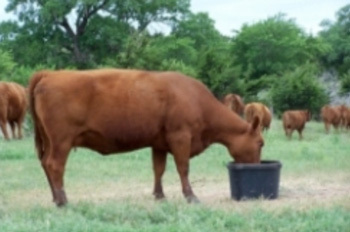 Actually, the tubs use to hold cattle supplements; a mixture of molasses, vitamins and other nutrients used by cattlemen to keep their stock healthy (as seen in this image). My friend and cattleman, Bill uses about a dozen of these supplement tubs each year and this is the basis of my “potted” potato patch. When the potatoes are harvested, the tubs are cleaned and stored away over the winter, leaving plenty of garden space for other crops. Spring temperatures are rising, sap is flowing and that only means one thing…its Maple Syrup Season. 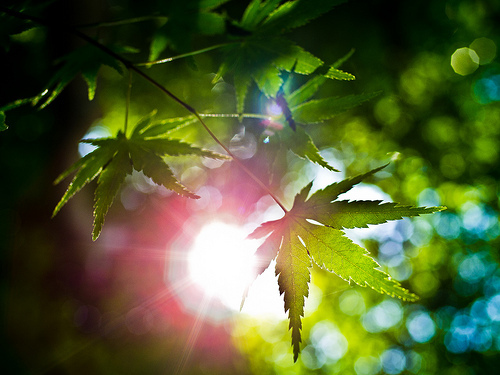 It’s during this time of year that the warmth of spring pushes the maple tree sap up into the branches to nourish the leaves, making it the perfect time to capture the sweet juice. Sap is collected by boring holes in each maple tree and inserting a spout. As the sap moves through the tree the sap drips from the spout into a waiting bucket. The buckets are collected and the rich golden sap is taken to a sugar house where it is boiled down, allowing all the water to evaporate. What’s left is super concentrated natural syrup that’s perfect on pancakes and waffles, muffins and toast, as a glaze for meats and even in baked goods. No offense to the goodies above, but my favorite way to eat maple syrup is in a creamy, delicate Maple Butter. Slathered on fresh baked cornbread, partnered with peanut butter in a sandwich or spread on piping hot dinner rolls just out of the oven, it is a sinfully delicious way to enjoy the changing of a season all year long. To make your own Maple Butter try this easy recipe. •	In a heavy pan heat maple syrup until it reaches about 240 degrees and begins to foam; about 10 minutes. 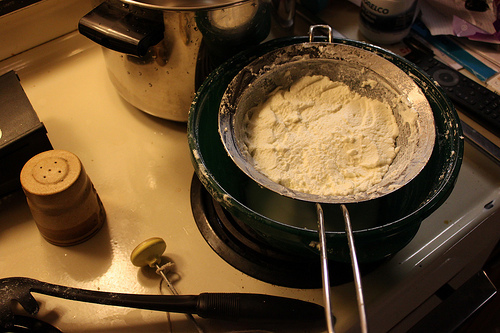 •	Pour mixture into a glass mixing bowl and beat until thick and creamy, about 10 minutes. •	Store in a canning jar in the fridge.